Andrea Hartley is an experienced litigator specializing in bankruptcy and creditors' rights. She served as National Chair of the American Bar Association's Law Practice Management Section, which is comprised of 17,000 members. Andrea is the past Chair of the ABA Women Rainmakers, a Fellow of the ABA, and immediate past President of the Dade County Bar Association. Andrea has extensive experience in a wide range of bankruptcy and insolvency matters including business reorganizations and liquidations, workouts, debt restructurings, assignments for the benefit of creditors and creditors' rights. She regularly represents lenders, secured and unsecured creditors, commercial landlords, suppliers, vendors, official committees, and purchasers of troubled companies and their assets, both in and out of bankruptcy court. 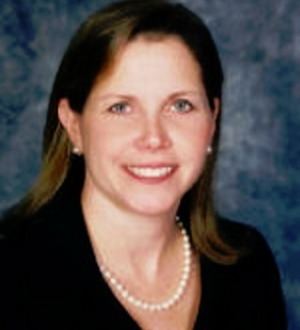 Andrea also has substantial experience with fraudulent conveyance and preferential transfer litigation. Andrea is a featured speaker throughout the United States on bankruptcy and workout issues including at the National Conference of Bankruptcy Judges, American Bar Association Section of Business Law, Florida Bar Association, and Dade County Bar Association.